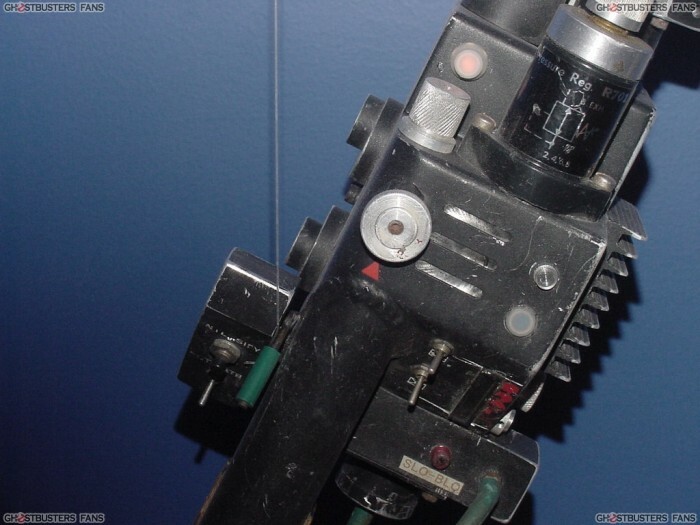 The Slo-Blo light is the small (labeled) red incandescent light on the rear instrument bar of the Neutrona Wand. The term "Slo-Blo" refers to a type of fuse, indicating that the rear instrument bar may in fact be a fuse box for the gun. This light turns on when the "ACTIVATE" switch is hit.